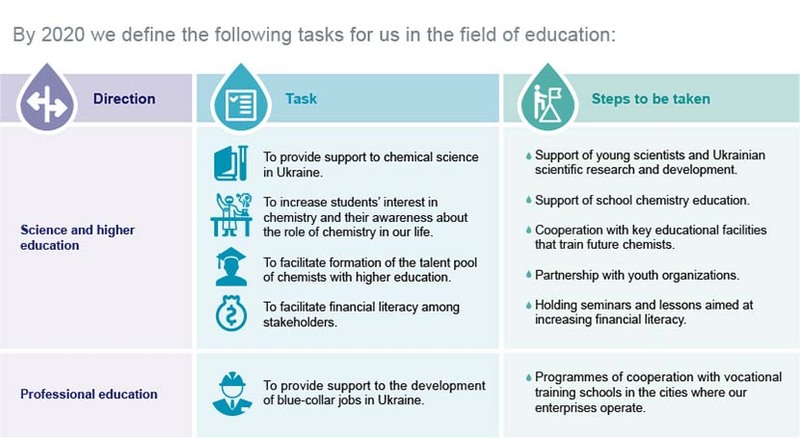 By supporting the expansion of STEM education (science, technology, engineering and mathematics) in Ukraine, we are helping develop a highly professional workforce for our companies and to foster the growth of intellectual capital, which is Ukraine’s main asset. We also want to improve the professional training and prestige of blue-collar professions in Ukraine. Thus, we work together with the country’s post-secondary institutions, offer factory jobs to their graduates, send our employees for professional development courses, and ourselves run career orientation seminars with the blue collar professions at our factories.